Prior to changing to a plant based lifestyle I never really paid attention to the lab results at my yearly physical. My doctor never showed me the results, rarely did I inquire, but he always focused on one number, total cholesterol (TC). So it came as no surprise when he prescribed me a statin in 2011 to control my increasing TC. Thankfully I was able to control and lower it rather than experiencing the negative side effects from statin use. Diet and an increase in exercise saw my number drop from 264 mg/dL to 130 mg/dL. An amazing 130 points in just a year! This after my doctor told me I would never have “normal” cholesterol level again with medication. The July, 2012 the lipid panel results were the best I had every experience. I was dedicated to a plant based lifestyle and had introduced weight training and cardio to my exercise regime. By October, 2013 and my yearly physical, the TC had increased to 152 mg/dL, yet nothing had changed in my eating habits. I was continuing to follow a strength training program and I was running 5 times a week. I couldn’t finger the change that resulted in my lipid panel results increasing. Yesterday I received the results of my most current lipid panel online. The great part with this, it now charts your results with previous results and you can see how you are trending. Much to my dismay my TC had jump again, bordering on similar results I received in 2011. The total cholesterol had increased to 193 mg/dL. Frustrated, I turned to the Protective Diet support group in search of answers. In my mind I have this lifestyle well in control and my blood results would confirm I was healthy and thriving. Unfortunately it felt like I walked into a wall when I saw the results. Maybe I should place blame on my physician for focusing so much on a single number, cholesterol. 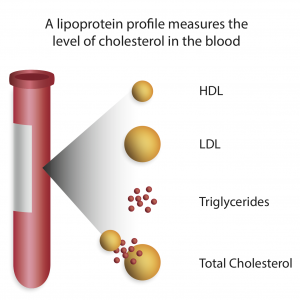 The lipid panel is much more than just a single number. Comparing numbers with my 2012 results reveal an increase in HDL (good cholesterol) by 11 points (now 49). Triglycerides, which I have been struggling with since the start continued to trend down, now 136 (decrease of 11 points). Yet the LDL number continued to increase, now 117 (up from 85). A new number was introduced, ‘Very Low Density Lipoprotein C’ with a value of 27 (normal range 5-40 mg/dL). What those results mean are yet to be determined by the physician. Unfortunately (or maybe fortunately) it won’t be my regular doctor, who is still out due to back surgery. I am seeing another doctor in the office, which could be a positive experience. I will know tomorrow. Now that the waiting it over and I have my blood results just what do they mean? As I mentioned, I am a bit frustrated that my TC didn’t stay around the 150 level, sometimes termed “heart attack proof” even if that is more of a mind set than a reality. Regardless of health everyone is at risk, some higher than others, of a heart attack. 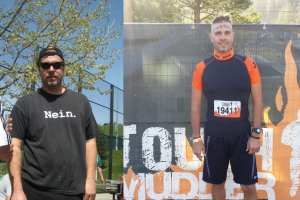 It may sound funny, but I take pride in my lipid panel results, as it gives me confirmation that the changes I have made in my lifestyle have been successful. 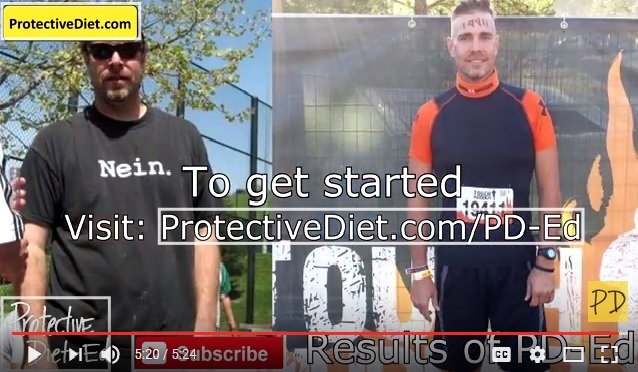 Looking back over the last 12 months and examining my diet just what have I changed? Eating habits haven’t changed, introducing “animal byproducts” as my friend Susan calls them, hasn’t happened. Neither has adding oil or dairy back into my diet. At this point I would call myself about 90% compliant when it comes to following Julie Marie’s Protective Diet. While I continue to maintain a plant based lifestyle, there have been times where I made the decision to eat a meal that contained oil. Yet those times can be counted on two hands over the course of the last 12 months. So where does the problem lie? I believe it’s a combination of lack of exercise and that 10% of non compliance. The longer I follow a plant based lifestyle, the easier it gets. The desire for cheese is gone, the smell of BBQ is still wonderful, but I don’t miss the feeling of raw chicken or having to pick up a slab of meat. Oil (it’s a junk food) is not an ingredient I cook with, regardless of properties many claim oils have. Yet that last 10% could be causing the strife I am dealing with. As for running, yes, I love to run long distances, but time has not been something I have been afforded the last 6 months. I have too many responsibilities and priorities and don’t not enough time for myself to take an hour and run. The combination of those two factors lead me to conclude I need to focus a bit more on eating healthier, making better decisions and to set some time aside to exercise. Julie from Protective Diet said, “don’t be alarmed. As long as you are eating a PD you are eating a Protective Diet. Meaning you are diligently eating on plan and doing everything in your power to lower your risks of heart disease and all disease in general…I wouldn’t worry about it. You are on track and the poster of health!” These are some wonderful words of wisdom to remember as I move forward. I am eating “on plan” and very pleased with the progress I have made since setting my 2014 Resolutions and continue to minimize and eliminate foods that are addictive and unhealthy. Julie Christensen’s Plant Purity (website before Protective Diet) came into my life after transitioning to a plant based lifestyle based around Dr. John McDougall’s teachings. This lifestyle made sense, reading success stories and experiencing weight loss and maladies disappear personally give me confirmation I made the right decision. To this day, I don’t believe I would have made the strides I have without finding Protective Diet and following Julie’s recommendations. With this new found health I have never felt better. In 2013 I trained and ran my first half marathon under 2 hours. A year later I challenged myself and ran my first 50K in under 9 hours. There is no challenge to big conquer. Julie’s approach allows each individual to take control of their health and flourish. I owe my health to everything she has dedicated to bringing to those willing to listen.